My friend Rob was in the city filming for an ITV game show on Monday morning and hung around to meet me for dinner when I finished work. 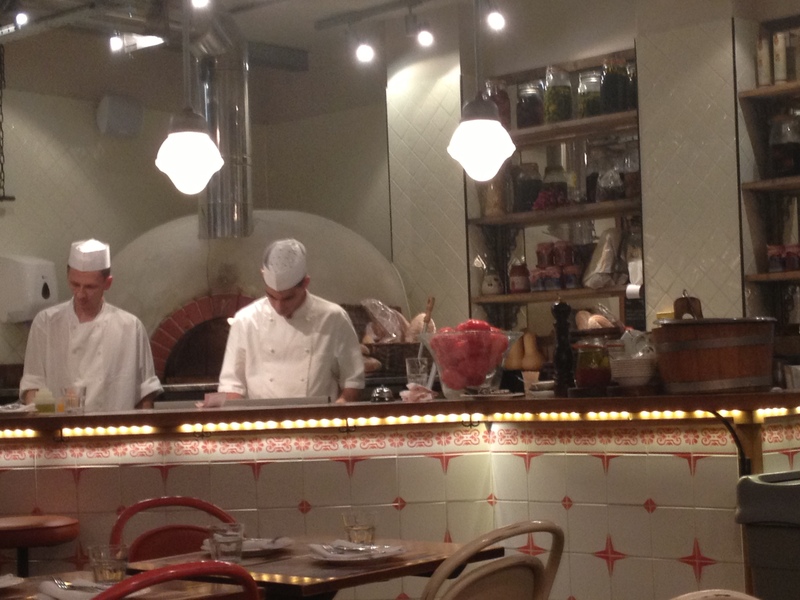 A shout out on Twitter allowed us to discover a little gem of an Italian restaurant called Fornata on Kingly Street (parallel to Regent Street) – thanks @LeopardprintLtd for the recommendation! In fact Kingly Street itself seems to be a fab street full of lots of enticing cafes and restaurants to try after a hard days shopping. I always struggle to pick just one thing from any menu. Couple that with my lack of appetite since returning from holiday I settled on having two starters instead of a main course. 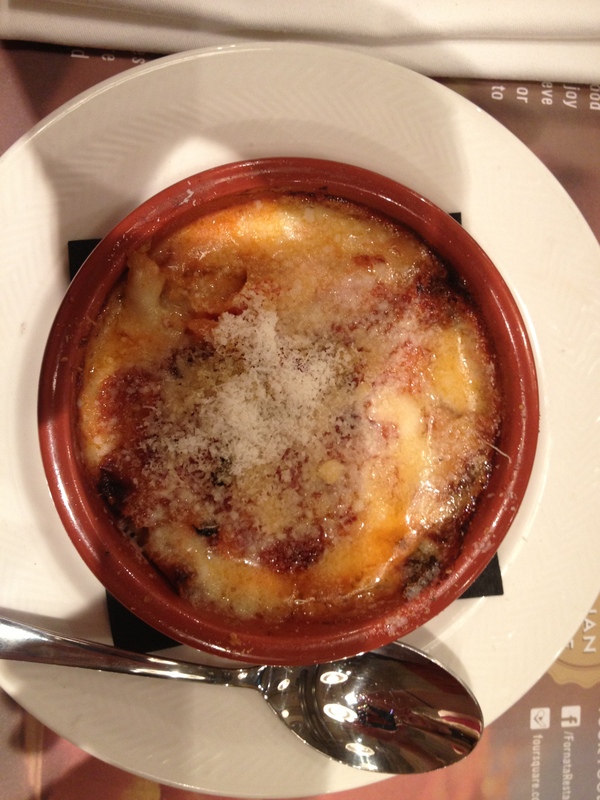 The Melazane Alla Parmigiana (baked aubergine with melted cheese) and the Arancini con Scamorza (Risotto balls with cheese) – yes I like cheese ok? Washed down with a cheeky peach bellini. 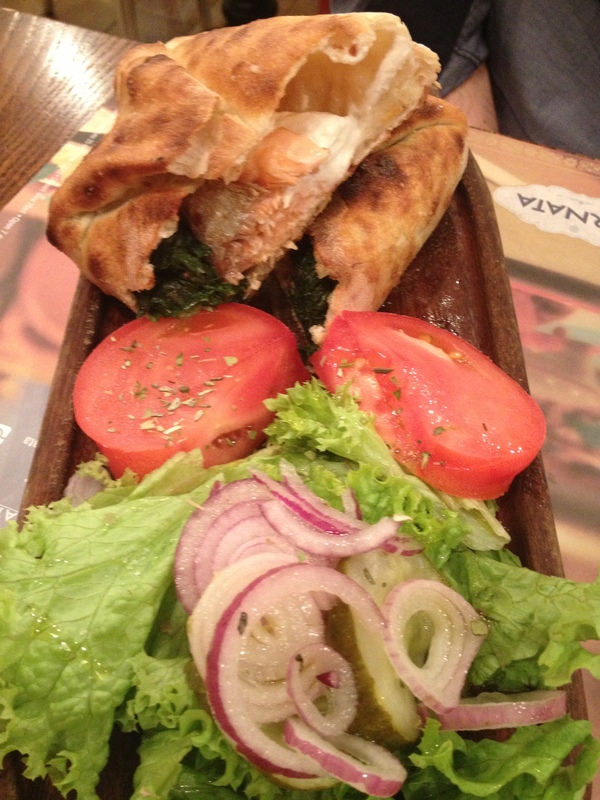 While Rob went for the rather unusual Calzone Con Salmone E Crema Di Ricotta e Spinaci (Salmon, ricotta and spinach calzone) – I’d never heard of salmon on a pizza or in calzone before! The aubergine was delicious albeit very, very cheesy so if you don’t like cheese quite as much as I do I probably wouldn’t pick this! 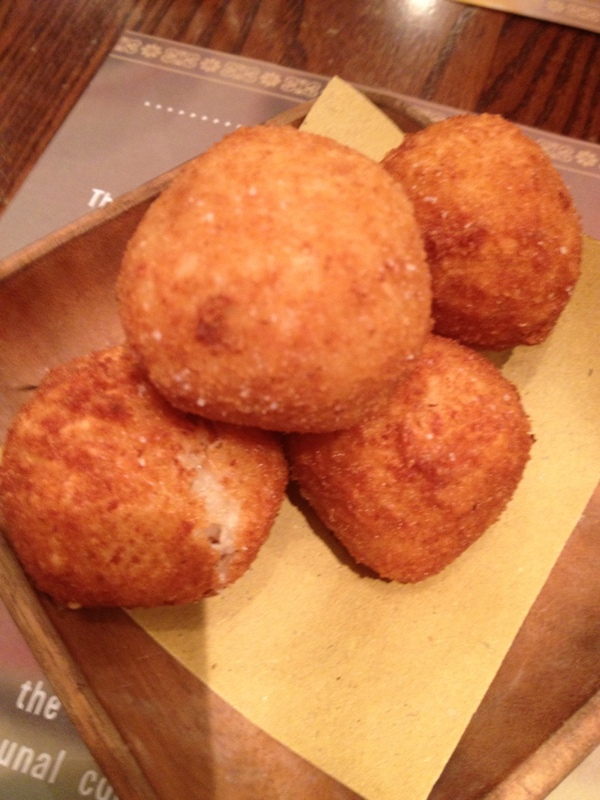 It was interesting to see proper arancini having once tried (and failed) to make these with my niece back when I lived in Aberdeen. They were nice enough but a little on the bland side, not very cheesy at all! Rob was happy with his calzone at first thinking the portion was a little on the stingy side but actually turned out to be the perfect size. I on the other hand am still not convinced by salad with pizza/calzone but that’s just me. The total bill came to just over £40 for the two of us which wasn’t too bad at all and I hope to return at some point!